The benefit of the Apple ProRes codec is that it retains higher quality than end-user codecs while still requiring much less expensive disk systems compared to uncompressed video. All Apple ProRes codecs support any frame size (including SD, HD, 2K, 4K, and 5K) at full resolution. Apple ProRes includes the following formats: Apple ProRes 4444 XQ, Apple ProRes 4444, Apple ProRes 422 HQ, Apple ProRes 422, Apple ProRes 422 LT, Apple ProRes 422 Proxy (you can learn Apple ProRes detailed informations from here). Now you can created the Apple ProRes videos by some new drones like DJI Inspire 2. In generally ProRes is a nice codec for NLEs like Final Cut Pro, Premiere Pro etc. But in many cases, you need to convert your videos to Apple ProRes for editing smoothly in NLEs. And you may have the demands of converting Apple ProRes videos to other formats videos for better playing, sharing etc. So in this article we share the top 5 ProRes converter for Mac with you for encoding video to ProRes and decode ProRes to other formats videos on Mac. Pavtube Video Converter for Mac is top Apple ProRes converter that not only can convert all video/audio formats to Apple ProRes codec for editing or playback but also can convert ProRes to any formats you need. Apple ProRes codec is the best codec for editing in Final Cut Pro X, Final Cut Pro 7/6, Adobe Premiere Pro, and other editing software on Mac platform. This best Apple ProRes converter has presetted output formats for popular editing software, these formats are optimized, after converting to corresponding best codec for editing software, you will not encounter any importing problems, and you can load video without rendering. With Apple ProRes converter, you can convert AVCHD to Apple ProRes, MTS to Apple ProRes, MXF to Apple ProRes, MP4 to Apple ProRes, DNxHD to Apple ProRes, MPEG-2 to Apple ProRes, etc. you can also convert video to Apple ProRes 422 HQ, LT, Proxy or ProRes 4444. Besides Apple ProRes codec, you can also convert video to DNxHD codec for Avid Media Composer, convert video to Apple Intermediate Codec (AIC) for iMovie and Final Cut Express, convert video to MP4, MKV, AVI, QuickTime, or convert video for Sony Vegas, Adobe Premiere Pro, etc. With it, you can also edit ProRes like trim ProRes, crop ProRes, rotate ProRes, add or remove subtitles for ProRes movie files, Merge ProRes, Add watermark or effect to Apple ProRes. Pavtube iMedia Converter for Mac also is an excellent ProRes video converter for Mac. With it, you can convert any videos, audio, DVD, Blu-ray to ProRes easily. 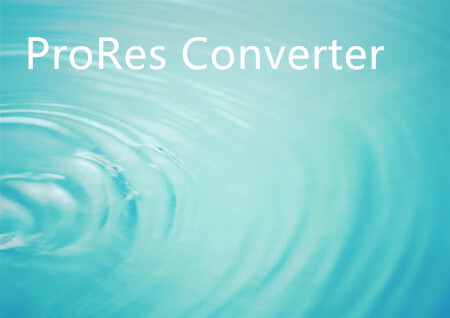 Also, you can convert ProRes videos to any popular formats including MP4, AVI, MKV, MPEG-2, WMV etc for your usages. Thanks to the intuitive interface, all the operations can be done in clicks. Be similar with Pavtube Video Converter for Mac, Pavtube iMedia Converter for Mac also provides you some popular ProRes video editing guides: split, merge, trim, crop, add watermark, adjust video effect, edit audio and insert subtitles. Pavtube HD Video Converter for Mac is one of the few ways you can encode (HD) video to/from Apple ProRes on the Mac platform. For those who are eager to create Apple ProRes video under Mac, this video converter app is a great help. It has updated with Apple ProRes MOV in Format list for fluent video playback, video editing, and personal use you desire. As a professional ProRes converter, it supports converting MTS, AVI, WMV, MKV, FLV, MXF, MP4, VOB, XAVC(S), etc video files to all variants of ProRes: ProRes 422, Prores 422 LT, ProRes 422 HQ and ProRes 422 Proxy. Besides ProRes, it also provides professional encoders- DNxHD, MPEG-2, etc, ensuring maximum editing quality and efficiency when working with Avid Media Composer, Adobe Premiere on Mac. What’s more, this video file converter ensures zero quality loss. And with the built-in video editor, you can personalize and retouch your videos in clicks. As a popular video conversion and video editing software, Bigasoft Total Video Converter for Mac is the first to support Apple ProRes conversion and ProRes encoding. It can convert ProRes 422, ProRes 422 HQ, ProRes 4444 and more to AVI, WMV, MKV, FLV, WebM and other Apple unfriendly video formats as well as convert ProRes to Apple friendly MP4, MOV, M4V and convert ProRes to HD and SD video for Apple devices including iPad, iPhone, iPod, iPod touch, Apple TV. In addition to converting ProRes, the ProRes Converter can also converting any format video/audio to any desired video and audio formats. Bigasoft ProRes Converter is also powered with advanced some editing features. Acrok HD Video Converter for Mac also is a not bad ProRes video converter. 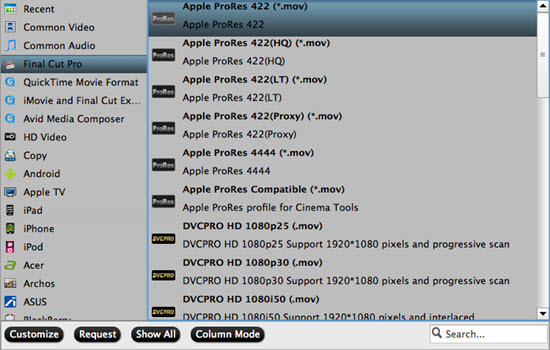 With it, you can encode ProRes 422 MOV easily for FCP etc. For professional editing software users, this powerful video converter app can transcode Blackmagic footage for Final Cut Pro X/7/6, iMovie 11, FCE, Premiere Pro CS6/CC, Sony Vegas Pro 12, Avid, etc. It also has the ability to convert your videos to suitable formats for playing on portable devices, like iPhone 5S, iPad Air, Surface 2, Galaxy Tab Pro 8.4, Sony Xperia Z2, Galaxy and so on. Ok, now we take the Pavtube Video Converter for Mac as an example to show you how to encode videos to ProRres codec videos on Mac. 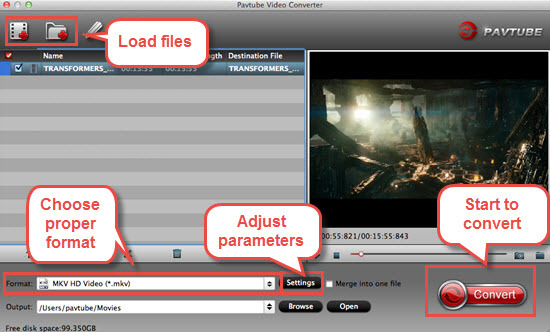 How to Convert videos to ProRes on Mac with Pavtube Video Converter for Mac? Note: If you are FCP X users, before you try to do the conversion, don’t forget to make sure that you have installed the Apple ProRes Codec manually since the FCP X asks users to install it by themselves. Step 1. Click "Add video" button to add your video files to the program. Or directly drag the video you want to convert to the left item bar. Step 2. Set right output format. Click "Format" bar, and select "Apple ProRes" from "Final Cut Pro". Here you can also choose other formats like MP4, MOV, MKV, AVI, MPEG, WMV etc from Common Video, HD Video, iPhone, Apple TV etc. Step 3. Click the "Convert" button on the main interface and the software will start to convert your video to ProRes immediately. When the conversion finishes, click "Open" to find the converted video files. Then you can effortless transfer the video files to for FCP, Premiere Pro etc on the go.